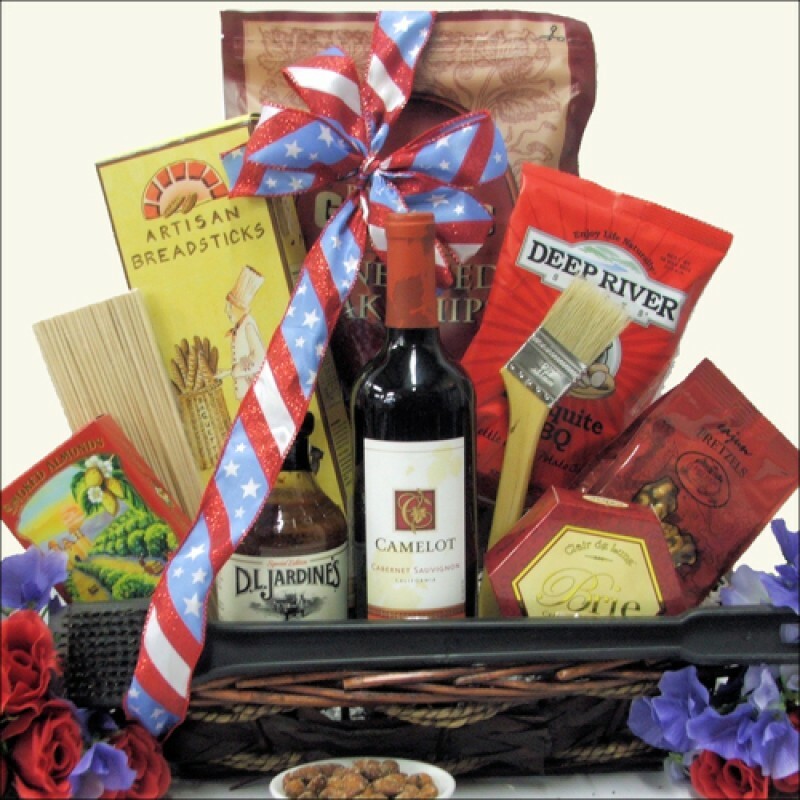 This symbolic Patriotic BBQ Themed Wine Gift Basket will make a great addition to their picnic table. This unique basket features a bottle of Camelot Cabernet Sauvignon Wine, cheese, snacks and a great assortment of BBQ gifts, a Basting Brush, Wine Aged Oak Chips, Bamboo Skewers and delicious Mesquite BBQ Sauce. They will remember this thoughtful gift each time they fire up their grill! ...in an Oblong Stained Gift Basket.